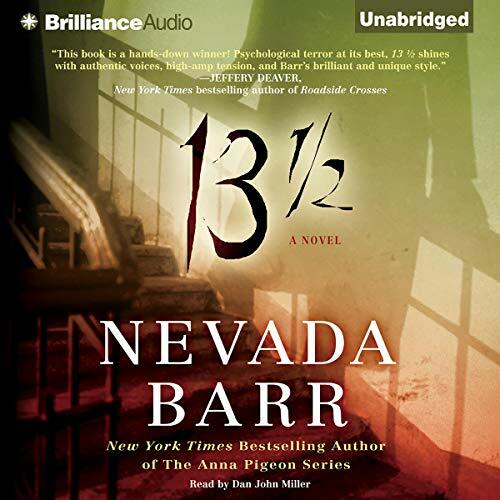 With 13 ¿, Nevada Barr, New York Times best-selling author of the award-winning Anna Pigeon novels, has written a taut and terrifying psychological thriller. It carries the reader from the horrifying 1970s murder spree of a child - dubbed "Butcher Boy" by a shocked public - in Rochester, Minnesota, to Polly, the abused daughter of Mississippi "trailer trash," to post-Katrina New Orleans. In Jackson Square in the French Quarter a tarot card reader told Polly Deschamps she would be a success. Thirty years later, Polly is a respected professor of literature with good friends and her own home - a safe life for her and her two daughters. Butcher Boy, released on his 17th birthday, shook the snow from his boots and headed south. New Orleans, a Mecca for runaways then and now, offers sanctuary but never forgiveness. Like history, some crimes are doomed to repeat themselves. Evil stays the same, only the victims' names change. As two broken pasts collide in an uncertain present, Polly is determined that her children's names will never be on that list. ©2009 Nevada Barr (P)2009 Brilliance Audio, Inc. I have always been a fan of Nevada Barr, however, this book is very dark and very depressing. I was extremely disappointed in this selection, it read more like something she might write for a fiction writing class. If you want to be thoroughly depressed, listen to this one. But not this time, I regret. It is well crafted enough to suit me, but the story is just too dark for my taste. Yes, her books are always murder mysteries and have gotten progressively darker over the years, but this crossed over a line in my mind. Maybe it's actually a tribute to the author, not liking this one...perhaps it was just too real for my fiction leaning taste. This was a surprise. Although it had the well woven plot twists known to Barr, it spent too much time on graphic violence. Lots of wondering who the bad guy is, and even who is who? Lots of twists and turns. I started this book years ago, but reading it was difficult. It just did not keep me. I thought I’d try listening to it, and I am glad I did. This was worth EVERYTHING. I binged the list four hours. You just have no clue where the story is taking you. There are so many twists and turns. SO MANY! But all worth it. And the killer, at the end, I never saw that coming. Just…never. I cannot believe this turned out the way it did. Even now I am shocked. I think I want to go back and have a second listen. The narrator did a fantastic job of taking you on a ride. Nevada Barr wrote an AMAZING story that did not fail. Wow, this is so different from her Anna Pigeon books! It constantly kept the reader on the edge of the seat. The twists and unexpected events and happenings made it great. And even when the reader thought he/she had it worked out, there was still enough question and mystery to hold him/her to the end! Great book! this isbnot the stoy style of ms barr i am used to. some may enjoy. it is informative. What a huge disappointment for my family! We've enjoyed every one of Barr's Anna Pigeon series over the years and looked forward to hearing this one. A few lines of dialog in the first chapter leapt out at me and ruined whatever suspense/mystery might have carried the story. I wondered later if perhaps the reader, knowing the whole story at the time he read aloud, might have tried too hard to make a couple of comments seem unimportant. Something in his delivery made me ask a question and then mentally answer it. Not until the last chapter did the author give the answer -- the same answer -- but by then I was too bored to care. The characters were not very compelling. Good people, striving to succeed and live a good live in spite of horrendous childhood experiences...shouldn't it be fairly easy to make them appealing? And the villain was one-dimensionally evil, with no real background on why he was that way. Even a favorite author falters once in awhile, but I will not seek out any future non-series books Ms. Barr chooses to publish.